From HAL JORDAN AND THE GREEN LANTERN CORPS #4. 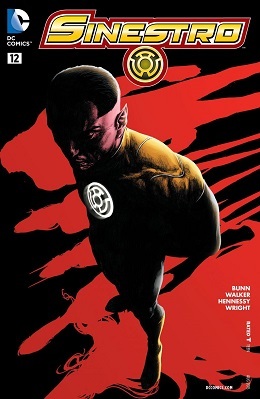 "We open the story with the reality that Sinestro has gotten everything he’s ever wanted. He’s parked Warworld in Sector 0, the former location of Oa. He’s now the official police force for a universe that’s his to rule and to put into order. This is what he’s always wanted. 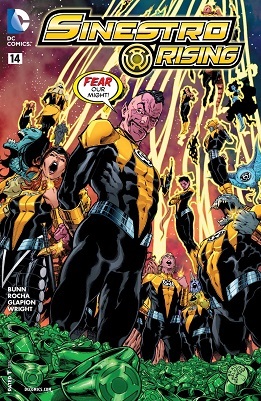 The Green Lantern Corps is gone and the Sinestro Corps is filling the void. I'll be gone most of the day Friday, so I'll just do an entry on the next part of Godhead right now. Warning for some violence and light gore. EMERALD DAWN II #1: Korugar loves Green Lantern! 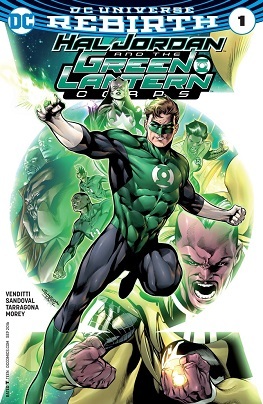 GREEN LANTERN: EMERALD DAWN I and II was the post-Crisis origin of Hal Jordan as Green Lantern. It added the odd "Hal Jordan was convicted of drunk driving and served 90 days" that was dropped by INFINITE CRISIS. 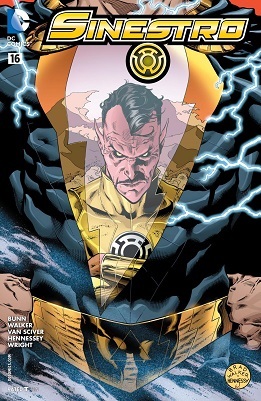 But it put elements to Sinestro's background that have continued to this day, although rarely expanded upon. 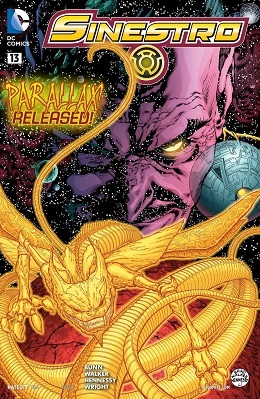 So, how sympathetic should Thaal Sinestro be? Did he do all he could to protect his world and then got screwed over for it? Why did he take over Korugar in the first place? 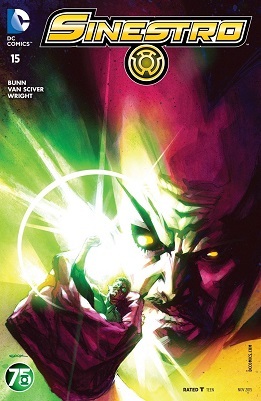 "That’s the Sinestro I hope to bring to this book. He’s not evil for the sake of being evil. But he wants something — be it redemption, glory, salvation, honor, or respect — and he’ll ruthlessly pursue it. But I think his reasoning… and his “mission”… will be understood by readers. If there is one undeniable fact of life in the DC Universe, it is this: The Guadians of the Universe are a bunch of assholes. Not to mention arrogant, self-imporant, and, as shown in recent issues, psychotically insane. Of course, I don't need to tell you any of this; but in this weeks Green Lantern Annual #1, they've really stooped to a new low.